Giant tortoises once inhabited all the continents on Earth, with the exception of Antarctica. As the human population grew and people began to colonise new areas, the large tortoises were hunted, providing an easy, and apparently rather tasty food source to settlers. The giant tortoises were hunted to extinction. Only oceanic islands provided a safe haven, albeit a temporary one. 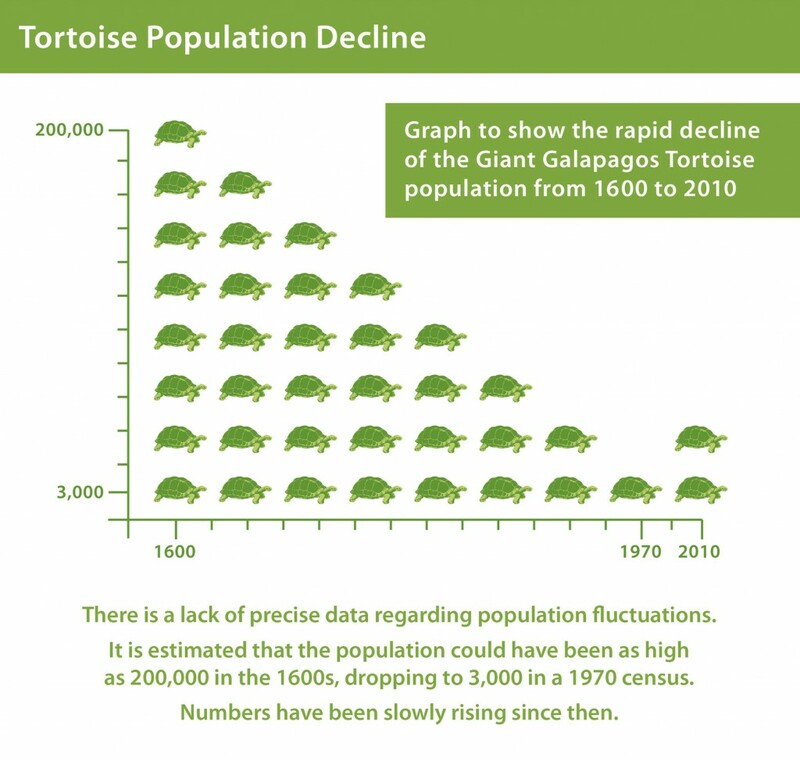 The history of tortoises in Galapagos is a catastrophic tale. In the 1600s, buccaneers who used the Islands as a base for repairing ships and restocking water, began to collect the tortoises to store live on board. They could survive for several months without food or water and they provided invaluable fresh meat and sometimes even water from their bladders! The exploitation continued into the 1800s until early this century, when whaling ships and fur-sealers collected more tortoises for food and their fine ‘turtle-oil’. 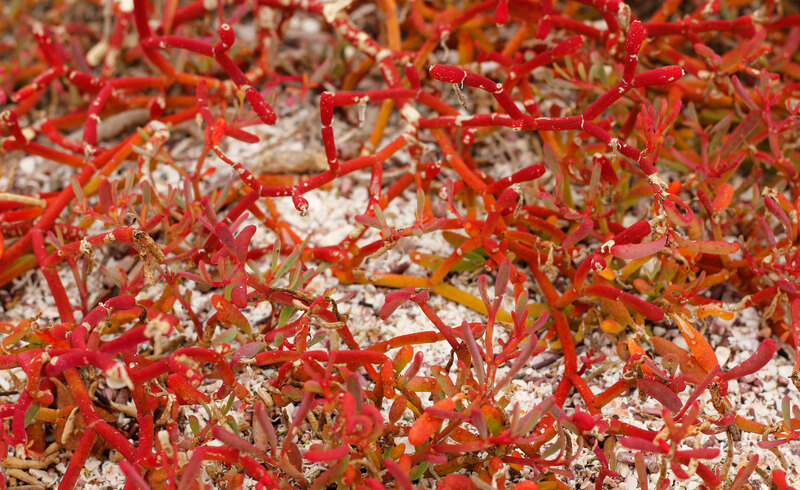 Early settlers on the Islands hunted them for their meat and cleared large areas of their habitat for agriculture. Settlers also introduced domestic animals, many of which became wild and, coupled with other invasive species, had a disastrous effect on population numbers. No-one knows the exact figures, but it is believed that well over 100,000 giant tortoises were removed from the Islands during this time. Having once lived on 10 islands, they now inhabit six. Only 10 of the original 15 species have survived. Tortoises that survived such destructive practices then faced new threats from a growing human population and tourist industry: increased agriculture, development of infrastructure and the introduction of domestic and invasive species such as goats, rats, pigs and fire ants. In order to help conserve both the Islands and the animals that live there, the Galapagos National Park (GNP) and Charles Darwin Foundation (CDF) were formed. The conservation of giant tortoises is a main focus, and conservation efforts mean that today’s tortoise populations are stable or increasing. Since tortoises first colonised the Islands they have had to adapt to challenging environmental conditions – the harsh, relentless heat of the equatorial sun, the search for suitable food, periods of drought when food is scarce, active volcanoes spewing out lava and hot ash, attack by ectoparasites, and even possible changes in sea levels to name but a few. 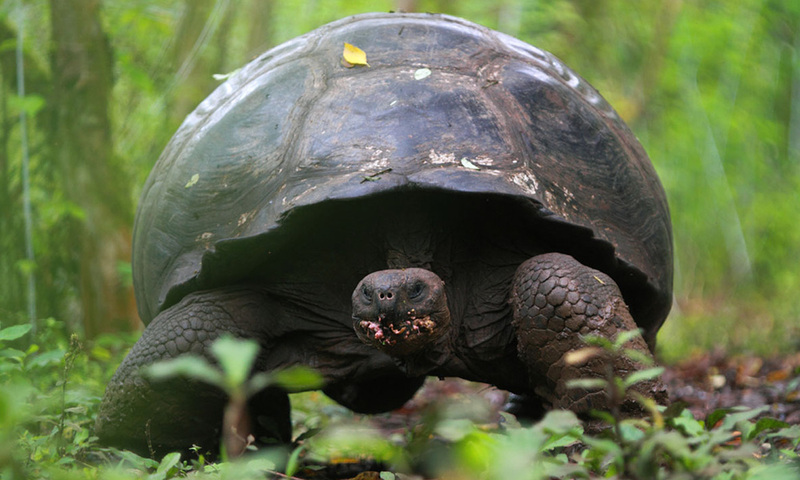 Galapagos giant tortoises, however, are resourceful and have mostly been able to adapt to their environment over time. It is now man-made, or anthropogenic, change that poses the most serious threat to tortoise populations. From the arrival of buccaneers and whalers who used the Islands as a base, to the appearance of the first settlers, tortoise numbers have declined dramatically in response to humans. The rapid development of infrastructure to meet a growing population and a booming tourist industry puts pressure on natural resources. Introduced species such as goats and pigs not only compete for the same food source, but also prey on tortoise eggs and young hatchlings. There are still cases of tortoises being killed for food. For these reasons it is imperative that we understand as much about the lives of the giant tortoise as we can, in order to plan conservation strategies to help them. 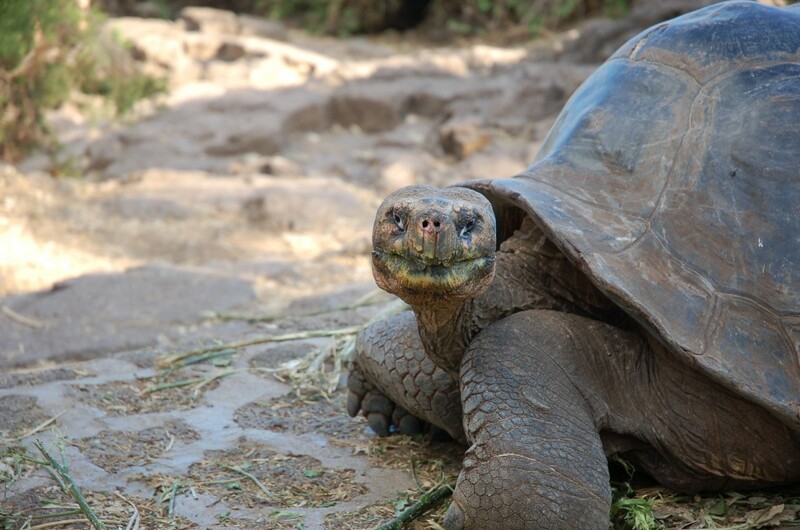 The Galapagos Tortoise Movement Ecology Project and Movebank are two such strategies.